The Mission of Better Hearing Clinic is to provide you a comprehensive and individualized treatment plan to enhance your quality of life. Our expert solutions and counseling are delivered with care and compassion. 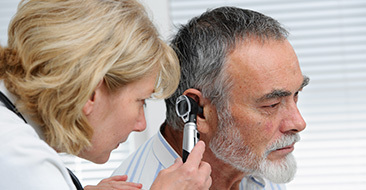 At Better Hearing Clinic we are committed to hearing excellence. 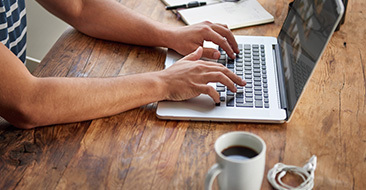 We are dedicated to staying educated on the latest technology, trends and health issues in the hearing industry. We will always be professional, dependable and ready to answer any questions you have about your hearing. 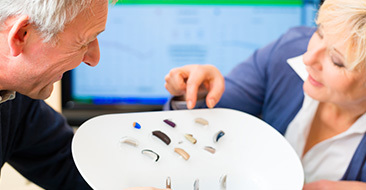 Recent advances in hearing aid technology mean greater choices for you than ever before. Better Hearing Clinic has access to hearing aids ranging from the basic linear amplifiers, to the latest advanced digital hearing aids. These newer, more sophisticated hearing aids automatically adjust their level to the sound environment for a speech clarity that is close to CD quality. Both analog and digital hearing aids come in a full range of sizes from the behind-the-ear (BTE) to the completely-in-the canal (CIC) size. As there are many styles of hearing aids, Better Hearing Clinic will help you navigate the best choice for your lifestyle and hearing loss. The hearing industry has a new focus on style, design, and miniaturization of electronics. Hearing aids come in nearly invisible models and sleek styles that are less conspicuous than even the latest Bluetooth headsets.